A witness to the death of the woman who fell from a Texas roller coaster last week said she overheard the victim tell an employee before the ride departed that her lap bar might not be secure. Rosy Esparza was riding the Texas Giant roller coaster with her son at Six Flags Over Texas in Arlington, Texas, when she apparently fell out of her seat at around 6:30 p.m. Friday. Carmen Brown said she witnessed the fall, adding that she heard Esparza express concern about whether she was properly secured before the ride began. Brown claimed she overheard Esparza tell the employee that she "only heard one click," to which the employee replied that it was "OK, if you heard it click." During the ride, Brown said, "She goes up like this [lifts her arms] and then when it [the roller coaster] drops to come down, that's when it released and she just tumbled." 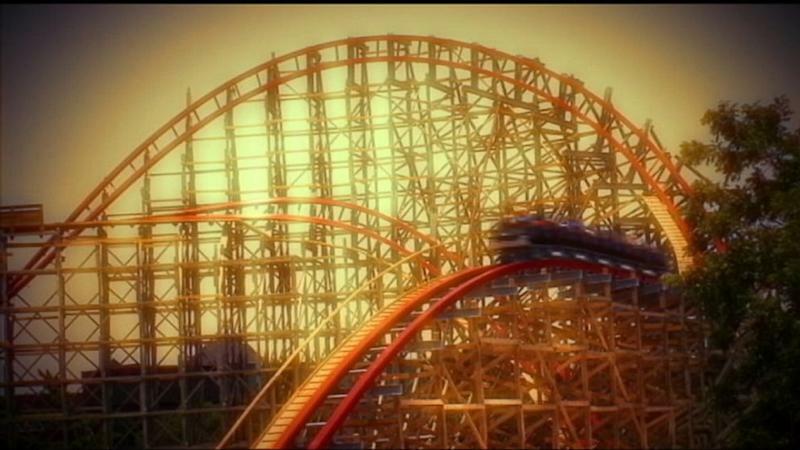 Riders on the 14-story-high Texas Giant roller coaster are supposed to be held in with a T-shaped lap bar. Witnesses on Six Flags Over Texas Roller Coaster Death: 'That Could Have Been Me'. Read more here. Gerstlauer Amusement Rides, the German company that built the cars for the Texas Giant, is sending experts today to Six Flags Over Texas to try to help unravel the mystery of what happened to Esparza, according to The Dallas Morning News. Darlene Putman, another witness, said Esparza's falling from the coaster was "surreal." "The seat restraint was its normal position that you would see them leave with," she said. "But there was nobody in the car." But with no sign of foul play in the incident, determining what happened to the Dallas woman is up to Six Flags. In a statement the company said: "We are committed to determining the cause of this tragic accident and will utilize every resource throughout this process." Investigators are eyeing Esparza's size as possibly playing a role in her death. "She was no bigger than I was, like that could have happened to me," witness Brown said. Safety experts say seats are built for adults who weigh 180 pounds. It's unclear how much Esparza weighed, but Texas Giant does not have a weight restriction. "The operators should absolutely be able to determine if a person's body mass can fit inside of the riding compartment the restraint mechanism correctly fits their body and will retain them within the unit," Bill Avery of Avery Safety Consulting Park Employees told ABC News. The amusement park industry says its rides are safe, estimating the chances of being injured at one in 24 million, and the chance of being killed at one in 750 million, according to the International Association of Amusement Parks and Attractions. Six Flags has said it will not speculate on how the accident happened. Esparza's family said they are too devastated to do any interviews. It's unclear whether they've hired an attorney.